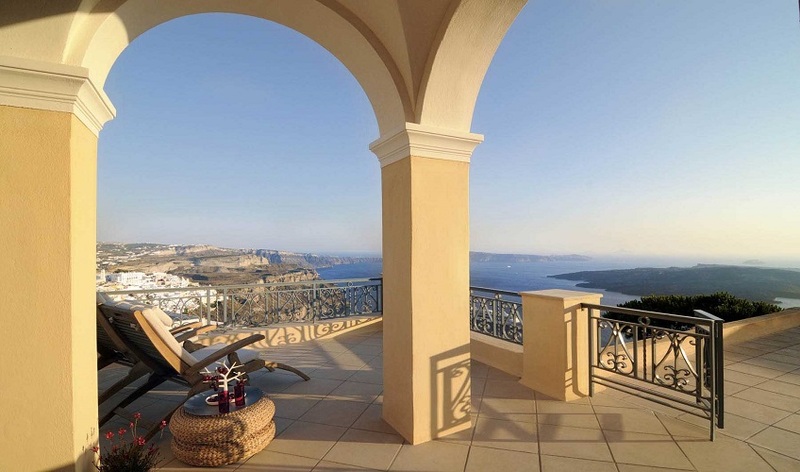 Unsurpassed views overlooking the world famous Volcano, nestled in an unspoiled and discreet neighborhood - and rather importantly - easy entrance to the Mansion. This translates into no endless footpaths, uphill and hard to navigate stairs to reach your accommodation. 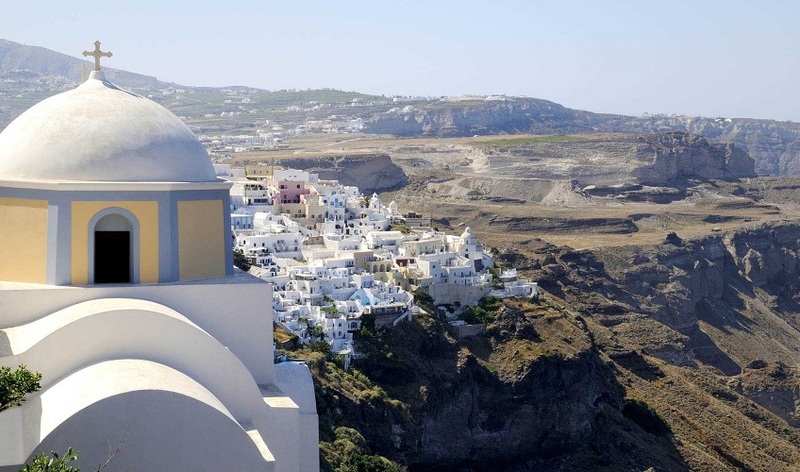 If its hustle and bustle you're after, the heart of Fira is a mere ten minute leisurely stroll away. Family owned since it was built in the early 19th century, the Mansion boasts a rich history. 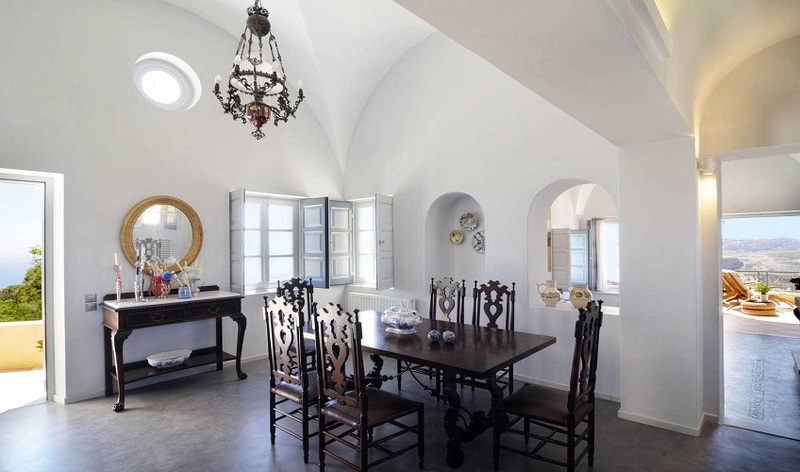 The owner is a notable architect on the island of Santorini, and with his understanding of the island and its history, he has overseen numerous landmark renovations. The family's past is firmly rooted in the social, economic and political history of the island, and their involvement is proudly continued to this very day. 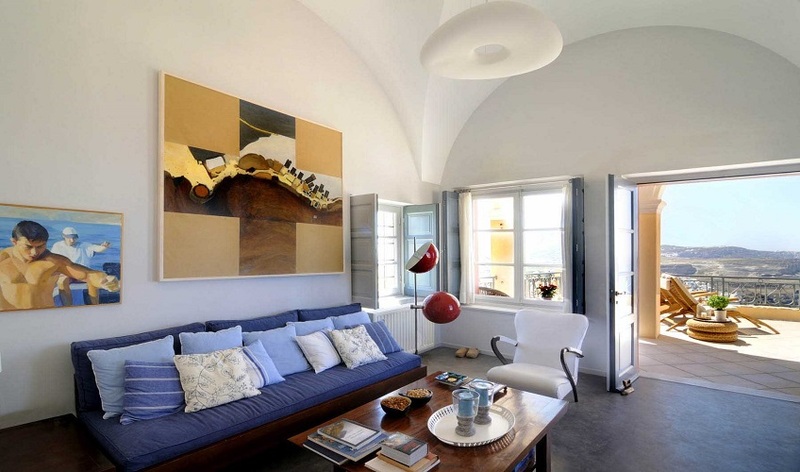 Highlights of the home include striking domes, thick walls and vaulted ceilings, the symbiosis of old and new results in an atmosphere of understated luxury and authenticity. The decor is a delightful and eclectic mix of family heirlooms, modern pieces, old engravings, original paintings and treasures which are a feast to the eye. Archipel Mansion accommodates up to 8 guests and consists of the Mansion and a Guest House, which has two independent cottages. 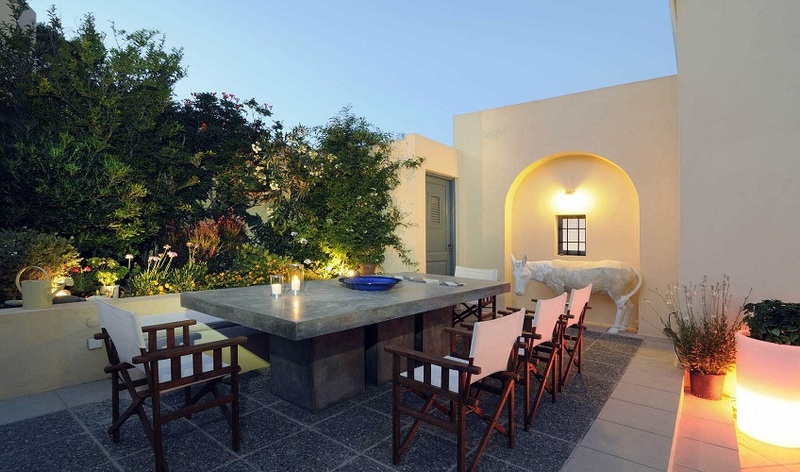 The property is united around a luxuriant, sun-drenched courtyard with various alfresco seating and dining areas. High cross-vaulted ceilings are not only an impressive traditional feature, but also allows for a fresh and spacious feeling to the house. Your eye is immediately drawn to the inviting lounge with large windows and doors leading out to the verandah and that all-inspiring view. The kitchen is simple a delight. Well-equipped with modern features, and quirky add-ons. One is sure to enjoy preparing breakfast and light meals in this charming environment. 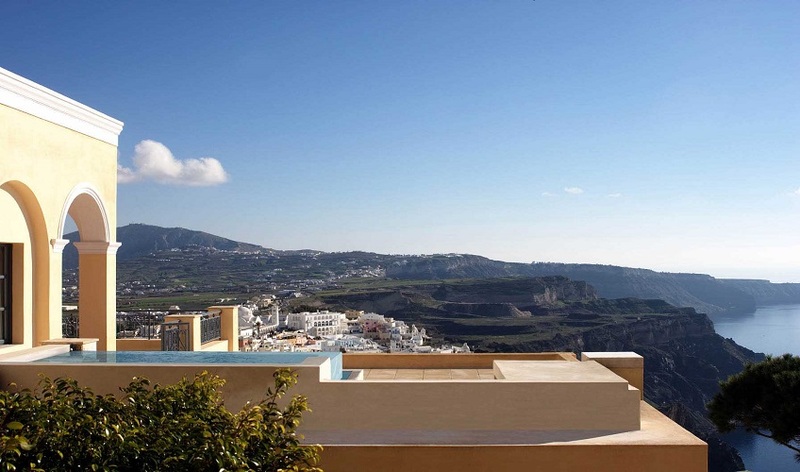 You will find two double en-suite bedrooms on the ground floor with the third double bedroom up a short flight of stairs, delighting its occupants with an uninterrupted view of the Caldera. 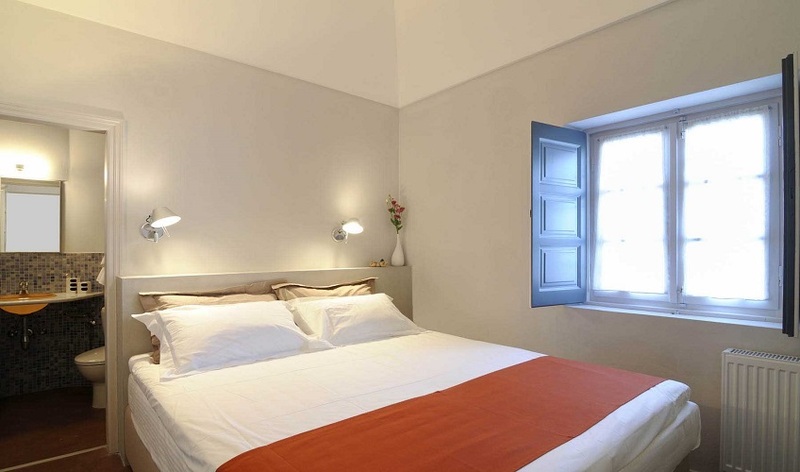 All bedrooms are fully air-conditioned and two of the bedrooms can be converted to twin bedded rooms. 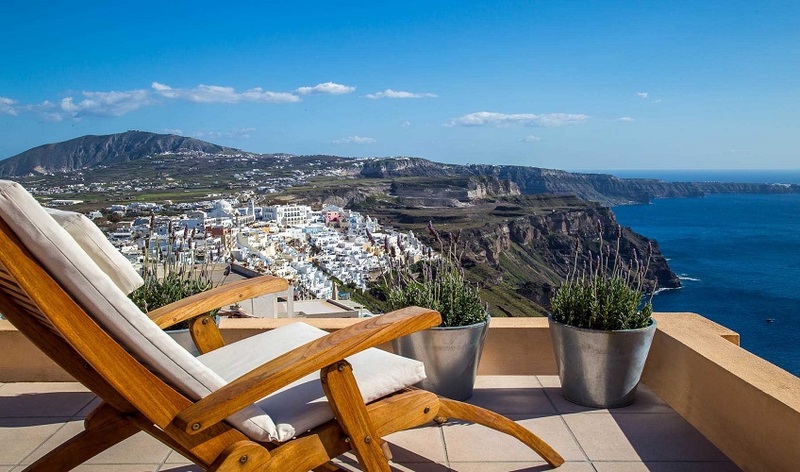 The great design of the home allows for easy access and a great indoor-outdoor flow, allowing you to enjoy the out-of-doors living, which lazy summers on an Aegean island are all about. 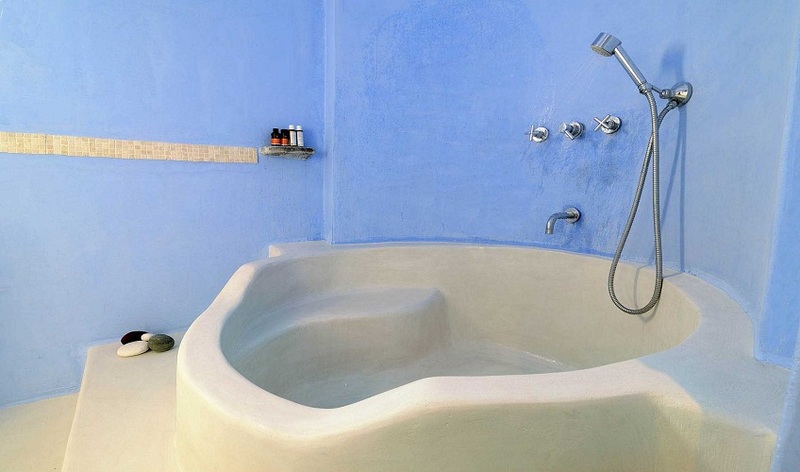 The Guest House has its own easily accessible private entrance and the house consists of two levels. Upon entry you will reach the first double bedroom which has a light and airy feel. Quirky decorative touches, an en-suite bathroom, kitchenette and private verandah with el-fresco seating complete it perfectly. The second double bedroom is reached via an external flight of stairs, which leads you to the entrance and a wonderful shaded courtyard. One has to feel the heat of the Greek sun on your skin, to truly appreciate the shaded reprieve. 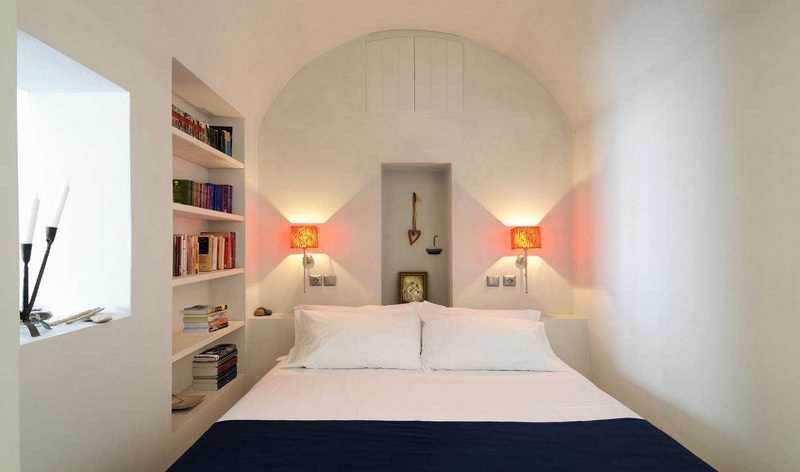 This part of the Guest House consists of two adjoining rooms. Upon entry there is a comfortable seating area and a kitchenette, perfect for preparing light snacks, and a spacious and bright double bedroom with bathroom. Both bedrooms can be turned into twin beds should you prefer.